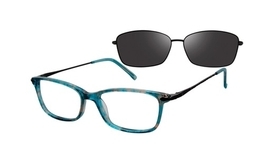 Revolution Eyewear glasses show the shape, style, and elegance that has made it a fashion leader for years. 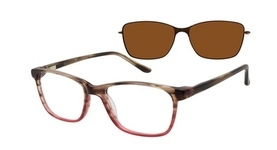 Revolution Eyewear eyeglasses are made well with fashion, function, and elegance in mind. 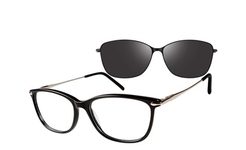 Revolution Eyewear is a worldwide eyewear company based in Simi Valley, California. With every item we design, we take another step further at becoming MORE creative, MORE unique, and MORE contemporary, than our competition! We have been and still are creating the best, most aesthetically pleasing Magnetic Eyewear the industry has ever seen with our Revolution Eyewear, and Revolution Titanium Eyewear Brands. At our inception, we were the first company that offered a clip-on FREE, with EVERY frame purchased and we were the first company to ever offer a FULL LINE of Barless Clip-on's! With an ever-increasing importance on brand name marketing at the retail level, the brands of Revolution Eyewear are perfectly positioned to fill the most significant product, pricing and target audience niches in the eyewear business. This has accelerated our efforts to expand into new lines with some of biggest fashion lablesin the industry! Revolution is now a major player in the booming fashion accessory business!